The Seafox is seen in photo returning to the ship after flight. The observer is balanced on the wing centre section preparing for the winch back to the ship. 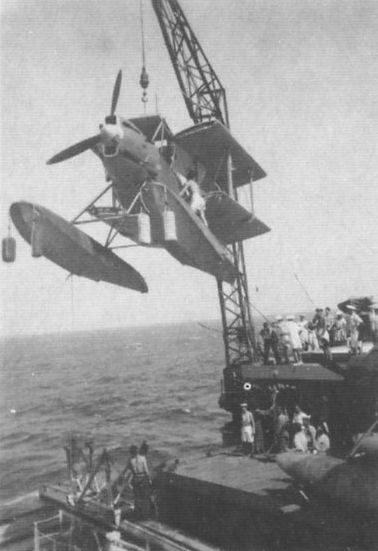 Photo shows Seafox L4539 ready to be winched back onto HMS Asturias. 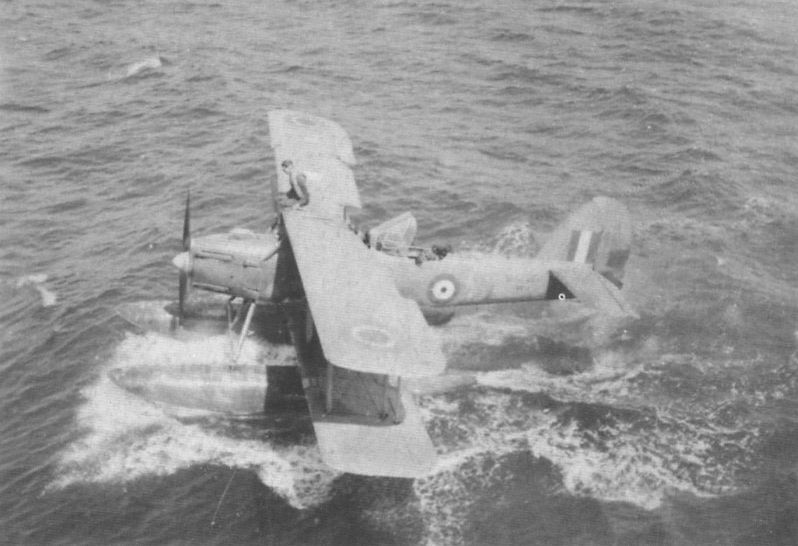 Note the massive raised hood in the observer’s position. This was raised from the rear to enable the observer to use the Lewis gun, when fitted. Apparently the hood was criticised for its effect on gun-sighting accuracy. Even when the hood was down gaps caused severe draughts and the crew often flew with the hood permanently open. 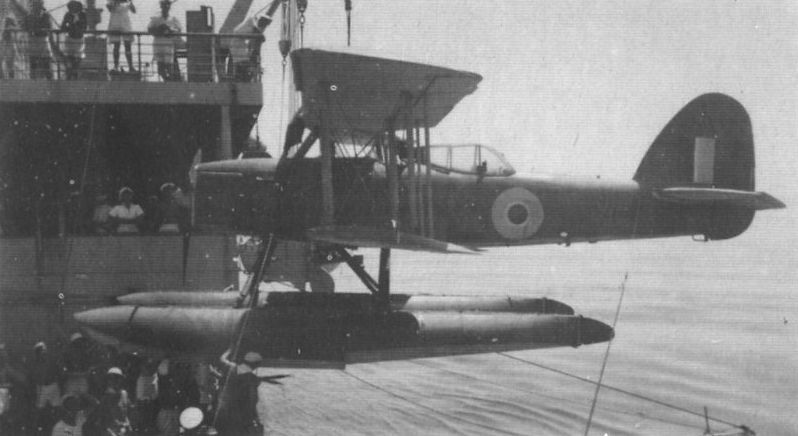 Seafox L4326, Coded L, is hoisted aboard and retaining struts are attached. Note the observer’s hood in the closed position and that the pilot has no such protection. 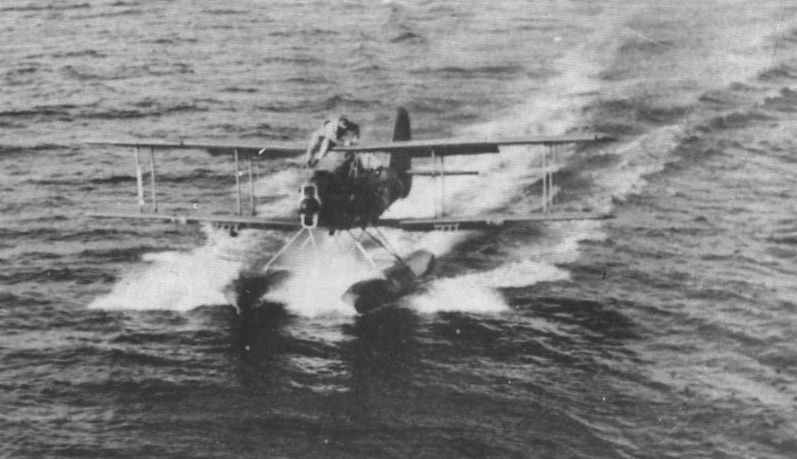 The pilot’s cockpit remained open to allow sufficient view for catapult launching and freedom of movement for recovery. Photo shows the ship’s No 2 Seafox being hoisted out of its hangar. Note the balance weights hanging from the floats. 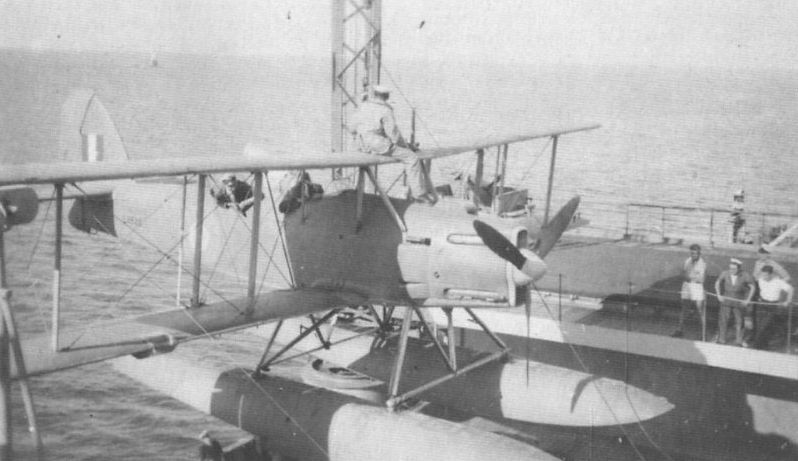 The Seafox is seen running up on the catapult, with flaps set for take-off. 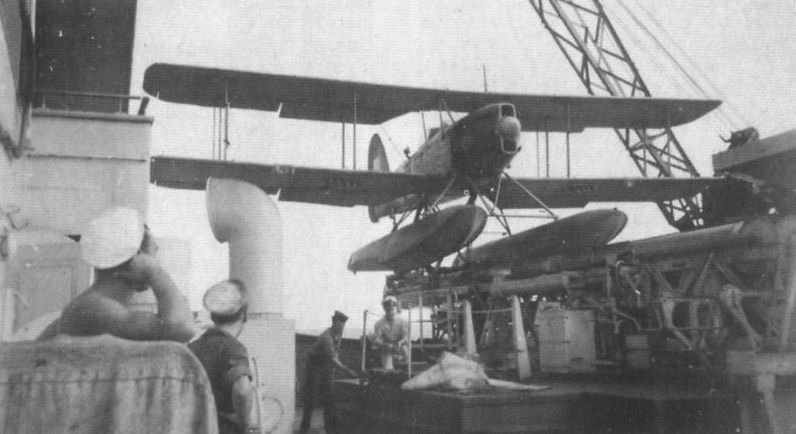 Another photograph of Seafox L4526 back on the catapult. The Seafox was of all-metal construction although the wings were fabric covered. Racks on the wings carried either two 100 lb bombs or eight 20lb bombs. Strangely no bomb sights were fitted to the aircraft and aiming was inspired guesswork.